Speaking a language is a social activity that requires participation in a social context. If you are visiting a country to see friends or just for vacation it would be very helpful to know something about the country. The do and don’ts as well as to be able to understand the language to some level. Especially for those who go to study, volunteer work or work in a development organisation. In this regard, NSN would proudly like to announce that from this fall 2015 we are providing Nepali language course on different level in Amsterdam and Delft. 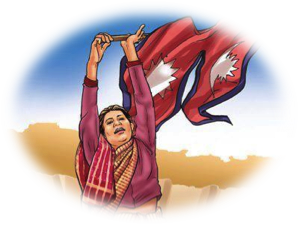 You’ve never learned Nepali, you want to start everything from the beginning, and gain confidence at your own pace … slowly. You have leftovers, so little … but not confident to hold a conversation or understand what you are told; yes, one word in ten, and again! You know the vocabulary but lack structure. We recommend you to take the basics and gain confidence. You understand but it is still laborious, you are missing expressions and you battle with some accents. Intermediate course is recommended for you. With this course you will be able to carry a conversation and learn basic Nepalese expressions & accents. You speak well … and once you realise that without regular practice, you quickly forget. If you wish to improve your Nepalese language skills & Nepalese accents in a local level, you can join our Advanced course. Please kindly note that the lessons can be started in Delft if there will be 4 or more enrolments. The number of participants per group (beginner – intermediate) will be 4 to 8. The cost for private lesson will be different than the set lesson. Please note that the cost of course book are not included in the fee. Renu Thapa (Facebook) , Teacher.